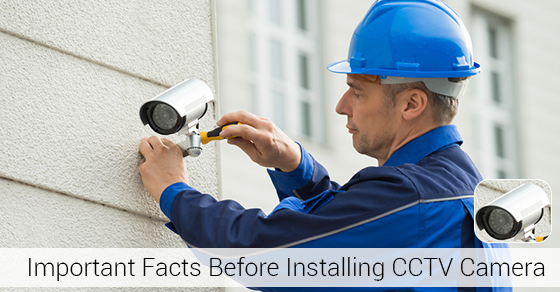 What You Need To Know Before Installing A CCTV Camera | Calgary Alarm Inc. Installation cameras have become increasingly popular among businesses, organisations and even individuals. This has been fuelled, in a large part, by fears of crime and terrorism. In the case of private individuals, an increasingly demanding schedule means that there is less time to monitor children or valuables. CCTV cameras have been the source of much controversy, and one of the biggest issues is privacy. If you are thinking of having a camera installed, you will need to be aware of three things: the law; your intent and your obligations. The use of cameras (including hidden ones) is legal, and they can be used as evidence in a court of law. Organisations and investigators in a particular line of work can use surveillance cameras in the performance of their duties. You must be aware of the laws at the Federal, Provincial and City or Local level that deal with surveillance cameras. The law also prohibits the collection of material or information on private individuals (as well as distribution) without the consent of the said individual. This is a grey area that you will need to be cautious with when interpreting the law for the legal use of cameras. You should also be clear on what are your intentions are. They must be for legitimate purposes, and if you are installing them in a public place, there must be a sign clearly letting people know that they will be under surveillance once they have entered the building. Failure to do so can result in a breach of privacy laws. As an employer, you have the right to use a surveillance camera for security purposes, but you do not have the right to use it to monitor the movement/activities of employees. If you plan to use surveillance footage as evidence in a court case, you have an obligation to ensure that the footage is authentic. In the modern digital age, surveillance footage can be easily manipulated to enhance its contents. Depending on those contents, the footage can have an emotional impact on people, and if those people are in a position to make decisions in a court (such as jurors) then a judge can rule the footage as inadmissible in a court. It is best you contact law enforcement agencies or a lawyer for further advice, but if you believe you need to have a camera installed, there is a wide variety from which you can choose. Just give us a call and chat with one of our competent staff.